Dr. Maryse Narcisse, received recently the nomination of the political party Fanmi Lavalas to potentially be the country's next president as early as 2015. The news was corroborated on Radio Kiskeya's 4pm news by party leaders Dr. Schiller Luidor and Dr. Louis Gerald Gilles. Acting as the National Coordinator of the party, Narcisse has been featured in the controversial sanctioning of activists Deputy Arnel Belizaire and Senator Jean Charles Moise. Dr. Narcisse, who promotes democracy and has done much for education and community-based health care in the country, is a medical doctor. It is hoped her experience in healing can be of use to the party that is said to be suffering from a takeover of the "bourgeois makoutise". At present, the party is deemed to be in second place because of this crack in its foundation. Leading currently is the Inite Party, the political party of the former Haitian President, Rene Preval. One other issue Dr. Narcisse will have to contend with is the perception of her involvement with the United States Embassy in Haiti, as well as other private sector leaders. If anyone had hoped to spend a quiet day in Port-au-Prince on September 30, that was not the case. On this important date which marks the anniversary of a 1991 military coup that ousted former Haitian president Jean Bertrand Aristide, the country's Capital was anything but peaceful. Dr. Maryse Narcisse candidate for Fanmi lavalas Party, is this a test? The Coordinator Of Fanmi Lavalas, Dr. Maryse Narcisse,has been nominated to become the Fanmi Lavalas candidate for the next presidential election in Haiti. Some see it as a normal progression since she has been a long time party loyalist and a close friend of Jean Bertrand Aristide. However, many people think this nomination is no other than a test being conducted by the Fanmi Lavalas to collect some reactions before the ultimate decision is taken. Here is something that would make one pose and think for a moment! 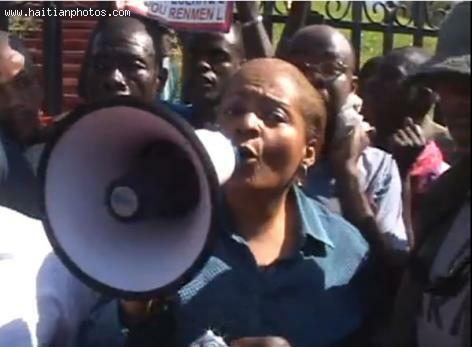 According to some theories being circulated, the Lavalas party is well aware of the limitation of Dr. Maryse Narcisse. Although she has been a loyal member of the party and even more important, the closest confident of former President Jean Bertrand Aristide, at least in public, she lacks certain skills necessary to bring the Lavalas party together to win the next presidential election. On Thursday, April 3, 2014, Dr. Rudy Hérivaux, a former senator and leader of Confidence Party has accused the press for driving a "purposeful disinformation campaign" to defame the government and "polluting" the political field. Although the press has achieved democratic status, it is a fact that there are very few good reporting and devoted political analysts among the news correspondents. When they do not get enough political ingredients to serve an entertaining item, fill the plate with football spices and serve as an item of political menu. Dr. Hérivaux has been installed as the new Minister of Communication in place of the outgoing minister Josette Darguste. Mrs. Darguste has described the new minister as a personality with excellent communication skills. Haiti's Lavalas movement took birth in the 1980s during the struggle against the Duvalier dictatorship. The Fanmi Lavalas or Lavalas Family strongly supports every public declaration which comes from any of its representative family members. Their movements were nurtured mostly by some Catholic priests, under the direction of Father Aristide from his Salesian parish of St. Jean Bosco in the Port-au-Prince. There are two branches of Lavalas Family: one is headed by Annettet Auguste, Yvon Neptune (former head of government), and Senator Yvon Buissereth as members whereas the other is run under the leadership of Senator Rudy Hérivaux and Maryse Narcisse. Leaving out of the Saint-Jean Bosco Church in Port-au-Prince, a showing of many hundreds of Fanmi Lavalas supporters, dissidents of the current administration, rapidly took their march through the different famous zones, hoping to grow their numbers, and were finally joined by numerous executives and pioneers of Fanmi Lavalas. Armed with pictures of former president of the republic, the exiled Jean Bertrand Aristide, they shouted censure at the corruption rife throughout the administration and the poor living state of the populace. The situation, they expressed, continues to crumble and political mistreatment continues. The group chanted uncongenial comments about the Haitian Head of State, and largely requested his acquiescence to resign and to hold general elections this year. An occasion to be talked about for months to come, the recent staging of the first meeting for inter-Haitian dialogue was witness to the presence of representatives of the party Fanmi Lavalas, staunch opponents of the dialogue as before they had expressed that they did not feel the conditions were yet right to hold such talks. It was then, with great surprise, that the dialogue was presented with the party's coordinator, Maryse Narcisse, Antony Dessources and Pasha Vorbe. Their newfound interest might have something to do with the fact that MOPOD recently threw themselves into the lot as a political party, all with the aim of ousting the current ruling administration of Martelly/Lamothe. Making the case even more curious when one remembers that it was just December 2, 2013 when Fanmi Lavalas itself denounced two of their own leading members, Deputy Arnel Bélizaire and Senator Moïse Jean-Charles, for demanding much the same thing. The Lavalas Political Party must admit this: Moise Jean Charles has demonstrated that he is more stable than the hierarchy of the Lavalas Party, including Maryse Narcisse and team. After they publicly announced their distance with Moise Jean Charle and Arnel Belizaire, joined the table of inter-Haitian dialogue, they finally realized that Moise Jean Charles was right after all. Fanmi Lavalas changed course, calling for general elections. 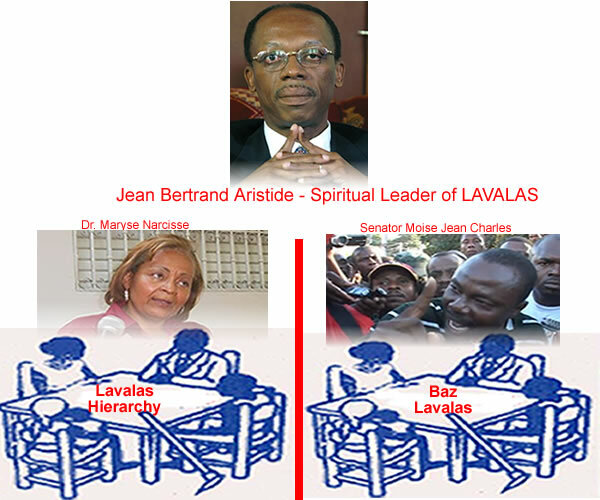 The "On" again, "Off" again positions of the Lavalas party. As part of their new position, Fanmi Lavalas announces a big demonstration for Thursday, February 27, to demand the organization of general elections this year. 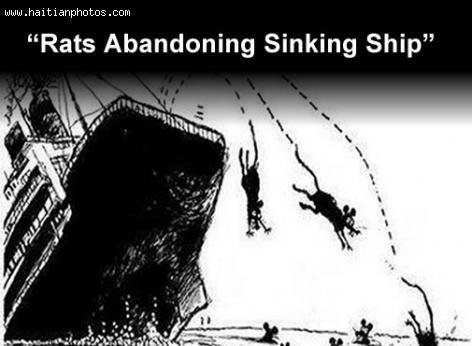 Two major decisions that took place today suddenly made MOPOD realized that it is in a ship by itself that is quickly taking on water. KID is no longer part of MOPOD and Fanmi lavalas has decided to join the Dialogue. Evans Paul (K-plim) announced this morning that KID is no longer part of MOPOD, stating that a dialogue is the only way to find a solution to the problems in Haiti. In an other development, Ansyto Félix announced that Fanmi lavalas will take part of the discussion. That was followed by the presence of the coordinator of the party, Doctor Maryse Narcisse on Monday at the dialogue. 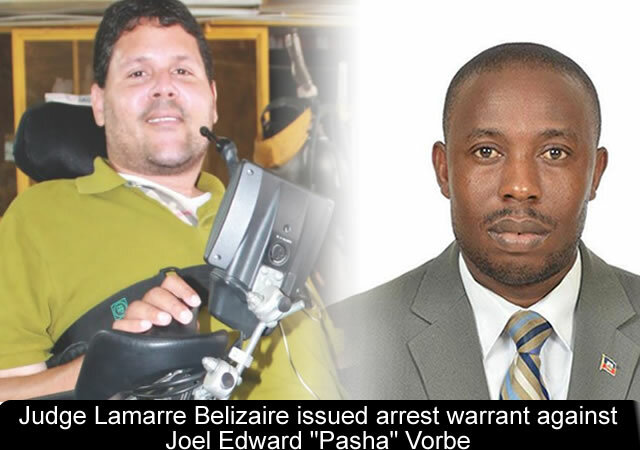 After suffering major damage to the C4 and C5 bones of his vertebrae, Lavalas party member, Joel Edouard Vorbe could have given up on life and the pursuit of progress. Born with all his faculties intact, it took a bullet, fired by a gunman who also took the life of Vorbe's step-father in the same outdoor assault, to rob an ambitious, young pastry chef of his dream. Joel Edouard Vorbe was born in 1975 and knew quickly what he wanted to do with his life. He would study at the Institute Saint Louis de Gonzague in Port-au-Prince, before studying the culinary arts and hospitality management in France. 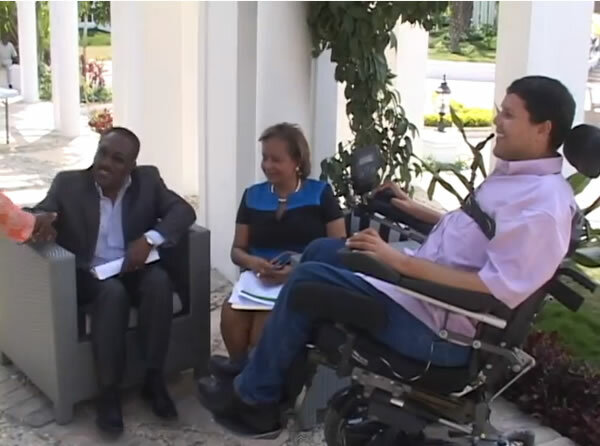 After four years as a student, Vorbe returned to Haiti and worked in his chosen career until the incident which robbed him of the use of all his limbs.